The area around Yokohama station, as all the areas around the major stations in Japan, is very lively and full of commercial activities. 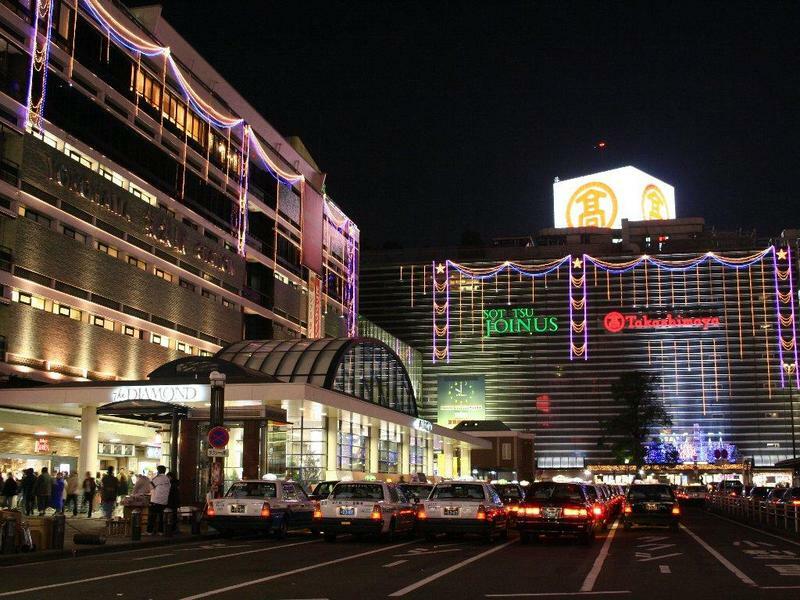 Branches of the most famous Japanese department stores and shops are located around Yokohama Station. -The Diamond, underground shopping mall with 150 shops under the west exit. 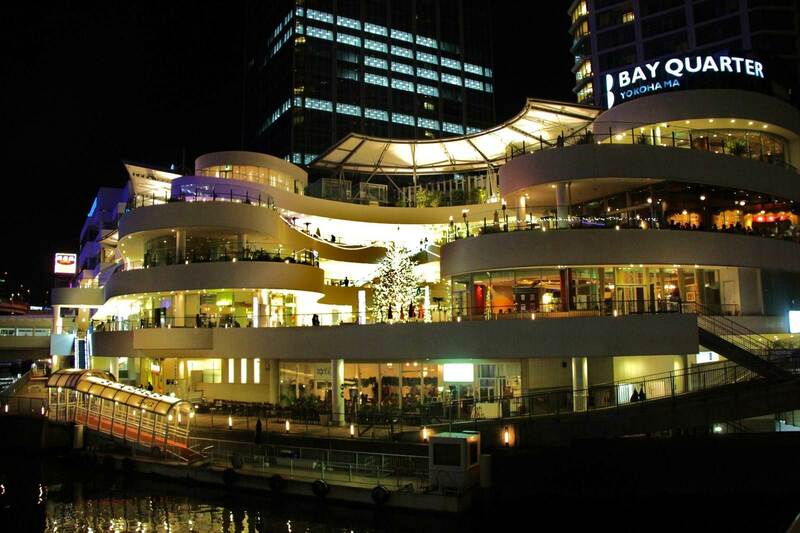 -Bay Quarter, a shopping center overlooking a canal near the east exit of the station, in front of it there is the departure and arrival point of the seabass to/from Minato Mirai and Yamashita. -Yokohama Porta, underground shopping mall under the east exit. 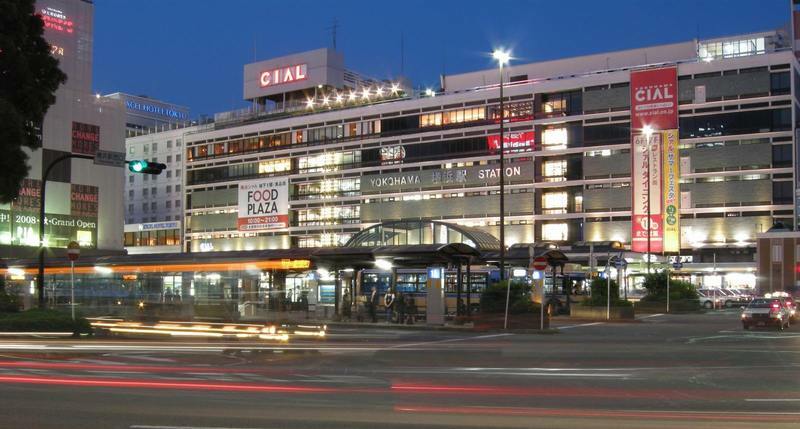 Some high-level hotels are located near Yokohama station, for example a Sheraton or the Camelot hotel. However, I don't recommend to stay in this area because if you haven't enough money you can't stay there (there are no cheap hotels, except for some internet cafe), but if you can afford the prices of the hotels in this area, so you might as well spend it for one of the hotels with great view in Minato Mirai. A short walk from Yokohama station (see map below) there is a restaurant that "invented" a type of ramen known today throughout the country as Iekei ramen* (家系) or also as "Yokohama style" ramen. Today there are several branches scattered throughout Japan (especially in Kanagawa region), but the original one where all "began" is Yoshimura-ya (吉村家) and is located there. It is a very popular restaurant and you could find a line to sit. 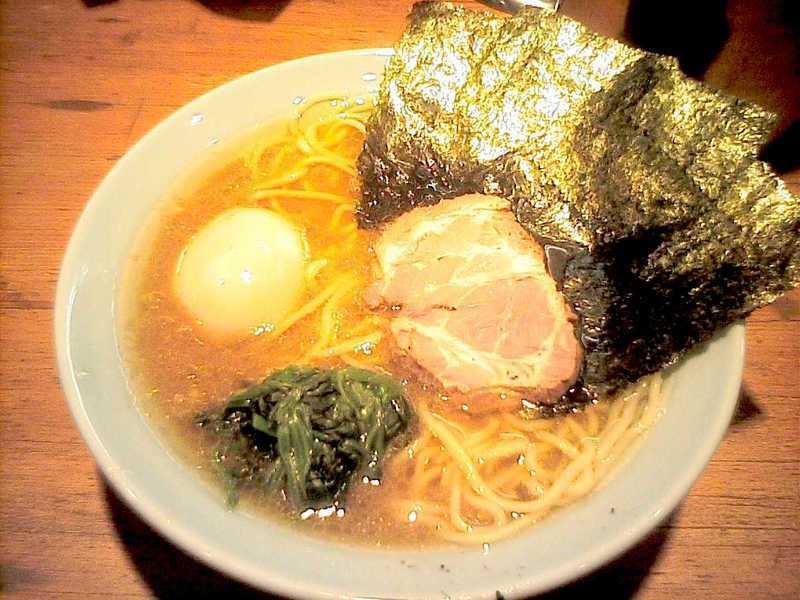 *Iekei ramen: a shoyu ramen (soy sauce-based) with very thick noodle in a pork broth, garnished with a slice of pork, nori seaweed, spinach and egg. Yokohama station is the main station of the city where almost certainly you arrive if you come from Tokyo (if you take the Toyoko line from Shibuya you can continue without stopping, more information here). You can move to/from other areas of the city by the Blue line of municipal subway or the Minatomirai line. 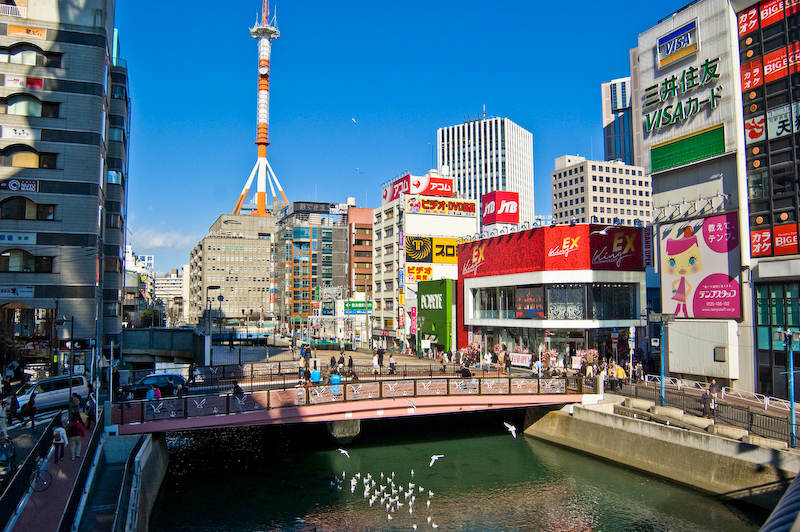 You could reach this area from Minato Mirai even on foot.